So close to airport with early flight. Bar tab was complimentary. Rooms were spotless and modern. The location is great when traveling, it is based in Barcelona terminal one, but theres a free transfer bus if you are traveling from terminal 2, and also a bus to Barcelona we was flying out the next day so, we had strip into Barcelona for the Afternoon and evening, the bus is very cheap and do a return ticket we had a great time. Very clean and spacious. Everything was perfect. Too bad it was only a layover. the location cannot be more perfect than this really nice!! Very convenient close to the Airport. Breakfast is very poor in an cool corridor. Air Rooms Barcelona Airport by Premium Traveller form part of a large business centre within Terminal 1 of Barcelona Airport. It offers an opportunity to rest in between flights, as well as extensive business facilities. All of the rooms have large windows with plenty of natural light. They have plasma-screen satellite TV, free wired internet access and air conditioning. There is a coffee machine. The rooms are part of Air Meetings Business Centre’s rest area, which also includes a fitness centre with modern cardiovascular equipment. The business centre offers fully equipped office spaces and meeting rooms, with videoconferencing and audiovisual equipment, for conferences or small meetings. A corporate catering service is available for events and services including couriers and car leasing can be provided. Barcelona centre can be reached in less than 30 minutes by train, bus or taxi. Air Rooms Barcelona Airport by Premium Traveller has been welcoming Booking.com guests since 8 Apr 2010. When would you like to stay at Air Rooms Barcelona Airport by Premium Traveller? 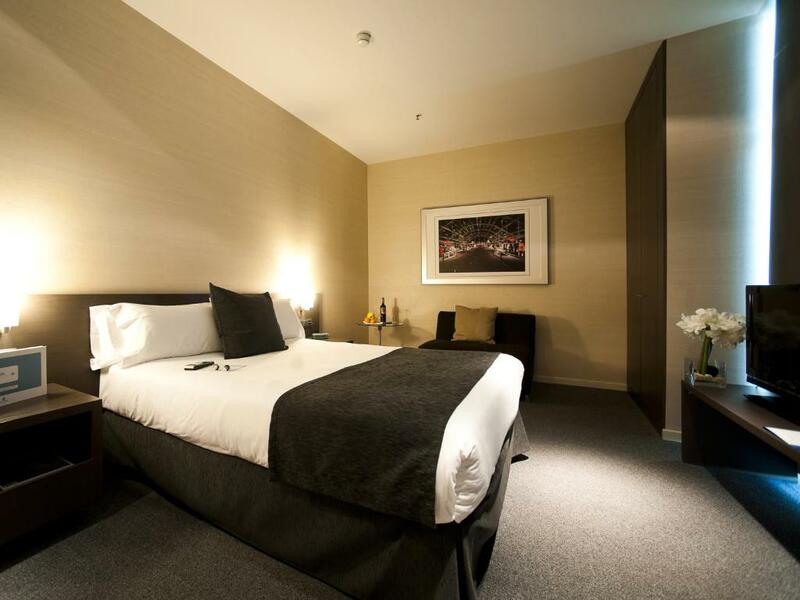 Our Air Rooms are designed to make your stay more comfortable. Located within the airport, each room is fully equipped to meet your every need. Air Rooms are available 24 hours a day year-round, which means you can spend the night at the airport if you have an early-morning flight, rest for a few hours without having to leave the airport, or take a shower on arrival. House rules Air Rooms Barcelona Airport by Premium Traveller takes special requests - add in the next step! Air Rooms Barcelona Airport by Premium Traveller accepts these cards and reserves the right to temporarily hold an amount prior to arrival. Please note that Air Rooms Barcelona is located inside the business centre in Terminal 1. For more detailed directions, guests can contact the hotel directly. Unless you ask you have about as much chance of finding this hotel as of finding The Magic Faraway Tree-there is no signage and it’s in a Bermuda Triangle part of the airport-but it’s a good place to stay between connections, so serves it’s purpose absolutely. It’s the only option in the airport. Need better signage to find the place! There were no windows so a bit like being in a box but I knew this from other reviews. Didn't know how to work the coffee machine. It was extremely noisy until 3am, and due to the cheap construction one can hear every tiny bit of acoustic contamination. The whole place looks very uninviting, the rooms themselves almost identical to the airport hotel in Zurich airport section D. The high price for the service is not warranted. Not many people seem to know about the hotel , could be better advertised? Location directly at the airport saves a lot of time. Its very hard to find.